Strong leaders are critical to the success of any organization- be it a non profit, a corporation, a military unit, a church or a bicycle club. I believe that successful leaders can be developed and nurtured through mentoring, coaching and training but I have recently witnessed how unchecked power and bloated egos can corrupt leaders of volunteer groups. Over the last 20 years, I’ve been a member and/or officer in numerous nonprofit and corporate organizations and have seen a negative trend in leadership ethics. Since college I have had the honor and privilege of serving under many inspirational officers, managers and executives who truly embodied the values of respect, humility and service. These altruistic and motivational men and women were my role models and taught me the importance of recognition, encouragement, honesty and integrity. They taught me to stay focused on the team member’s needs above my own. In the past few years, I have become concerned by the increase in the frequency and negative impact that “corrupted” leaders are having on their organizations (this is across the board in society- from the local nonprofit and school board to the state and federal governments). 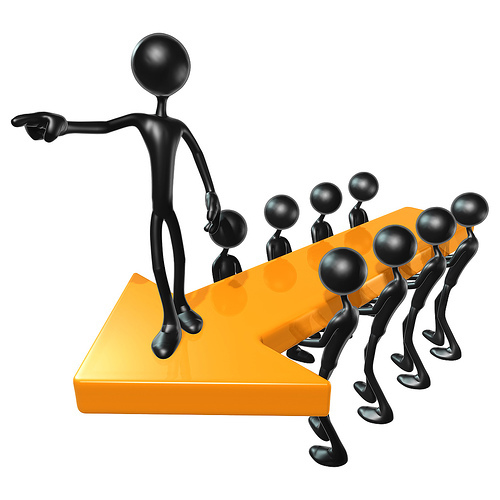 There are more power-influenced leaders today and fewer selfless ones. There is more Me and less We and that’s not the way it should be! Another disappointing theme I’ve observed recently is a misplaced focus where the officers of organizations are more concerned about their own power, titles and agendas with little priority or attention given to the actual members. I recently wrote a speech and created a presentation entitled “Leadership Challenges in Volunteer Organizations” where I outlined issues, impediments and possible solutions to address membership growth and retention concerns in non profit groups like Toastmasters and the VFW. I sadly will cite the destructive and non-collaborative behaviors of power trips, politics and petty personal attacks as key factors negatively impacting the morale and growth of many well meaning, non profit groups. Solutions to these issues are often difficult to implement in a broad sense since they need to come from within the individual leaders however, a positive organizational culture coupled with strong team agreements can go a long way toward improving a group’s leadership challenges. An unwavering commitment to the organization’s core Mission, without compromise, is also a critical to ensuring that ethical leaders are rewarded, encouraged and attracted. Notice that nowhere in the statements above does it mention the role, power or importance of the leaders or officers of the group. They are solely focused on the members of the organization. Losing sight of this simple fact is what I believe is causing many of the leadership issues we see in our volunteer organizations today. Perhaps this message and blog can reach others and be shared in order to make a positive impact in our communities and non profit groups. I hope so!